'Tis the season, everyone! Christmas morning is fun, but sometimes the stockings can be a little dull... stuffed with antibacterial soap, toothpaste, and cotton balls. We went to Walmart for some great dupes to prove you can do an awesome job filling a stocking for a total of $20. 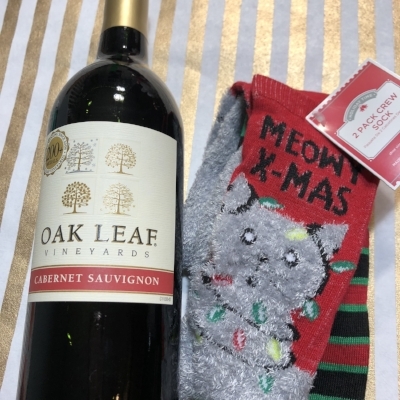 Wine, lipstick, and cat socks- oh my! Brandefy compares off brands (e.g., Oak Leaf) to name brands (e.g., Justin) to show you when the generic is as good as the name brand, and to warn you when it is not. Our purpose is to help you save time and money, and to have a good time while doing it. 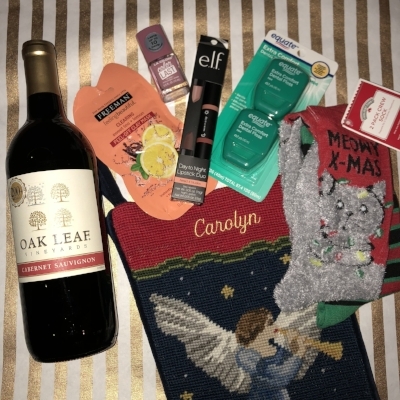 We at Brandefy love our mamas, but now that we are buying the Christmas goods, it is time to elevate the stockings from toothpaste and Q-tips to wine and face masks! We admit, we did throw in some dental floss because our moms' had good intentions with the oral hygiene products, after all. We made it out of the store with all the stuffers you see above for just under $20. Could these two items go together more? Need we say more? You know we will. Oak Leaf is a Walmart brand of wine, and this vino is a solid 3.1 stars on the Vivino app. We liked the fruitiness of it, and for $3 for a small bottle (it fit in our stocking and should fit in yours as well). The socks are from The Holiday Shop, which is Walmart's brand for all things holiday. This is a 2-pack of socks and they are fuzzy and soft. There are all sorts of cute, funny sets. The best part is they are just under $3 for the 2-pack. The next few items are not store brands, but are all about $2/ each, and awesome dupes of much more expensive products. 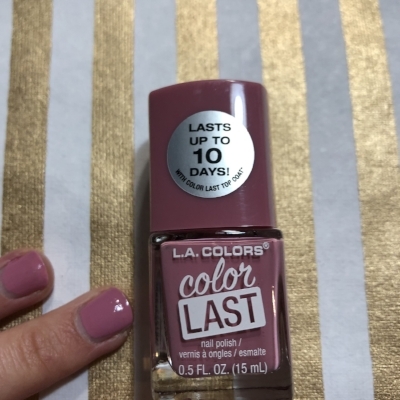 This polish by L.A. Colors went on so smoothly and evenly. We loved the cute packaging as well. 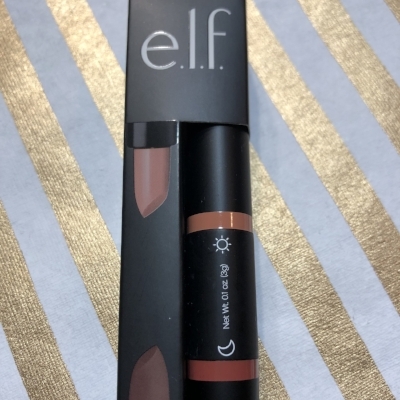 This Day to Night Lip Duo in Need it Nudes by E.L.F. is an absolute new favorite! It is smooth and has a lovely matte finish. We are obsessed with the night side of this duo, but both are great. Such an easy thing to pick up for her new favorite color! This mask by Freeman is another great find. It smells good and will leave the face feeling refreshed. We think all of these items will be a hit. We'll keep looking for more great dupes to save you some cash to use towards those big ticket holiday presents. In the meantime, snag some stocking stuffers that are sure to delight.